On September 8 2018, children and volunteers gathered at Prathana Mandir, Shirdinagar in Nallasopara for the closing event of the Community Development Project. The programme started by welcoming the guests and participants. Ninad Phaterphekar, CEO, CCDT, Chhaya Rade, COO, CCDT and Poonam Patkar, Director Programmes, CCDT inaugurated the event by lighting the lamp. The primary goal of CDP was to empower and integrate the most marginalised communities with a special focus on ICDS, Health, Education, Pubic Distribution System, and Child Protection. View the slides below to understand and learn on how communities benefited from CDP. After the presentation and documentary screening, children of CDP presented their journey of unsafe to safe communities through a MIME act. 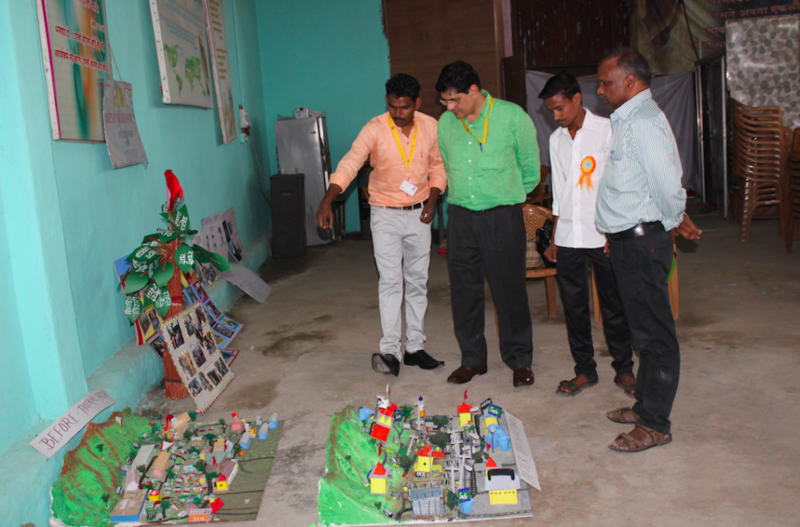 In this act they showed how they identified unsafe places, prepared a social map, conducted a photography session, meetings with corporators, and converted unsafe places into safe places.